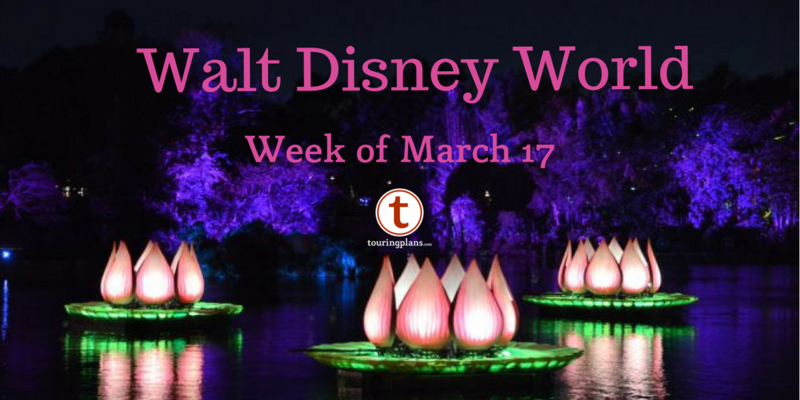 With over forty square miles of non-stop fun, Disney vacations can get overwhelming and exhausting for even the most intrepid traveler. 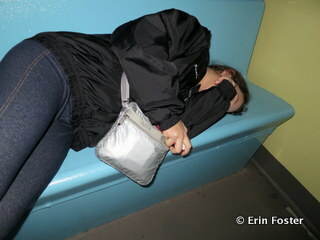 But never fear – the cure for the tired tourist is the tried and true Walt Disney World nap. Let’s get right to it … so I can go lie down. Going back to the room for a nap is usually well worth the travel time. I’ve paid a zillion dollars for my Disney vacation. Why would I want to waste my time napping? More power to you if you can make it through a week of 16 hour days racing from Space Mountain to Pluto, but most folks find that the Florida sun saps their strength after about 4 to 6 consecutive hours of park touring. After that, most children, and many adults, find that they need a break to recharge their batteries. Without some sort of rest or change of focus, energy flags, tempers flare, and interpersonal skills completely disintegrate. When you walk through the parks and see the crying kids, the bickering spouses, and that guy yelling at a cast member, you’re looking at people who are not enjoying their expensive vacation because they didn’t want to waste their money by taking a nap. Hmmmmmm, what’s wrong with that picture? I’m not a napper, does this mean I’m going to have a bad vacation? True confession time: I’m not a napper either. I’d like to be a nap, but unless I’m ill, it just doesn’t happen. For me, a lingering meal in a nice air-conditioned restaurant is refreshment for both the body and soul. Other people may be revitalized by a swim, or simply by sitting in a lounge chair and working a crossword, but lots of folks do need real nap to recharge. Longer show-style attractions make great nap venues. If you’re not a napper, how can you give advice about napping? Well, I’ve spent the last 20 years visiting the Disney Parks with my husband, whom I’ll affectionately refer to here as Captain Nap. Captain Nap is true professional in the art of snoozing anywhere, anytime. He’s had mid-day sleeps at a dozen Disney resorts, all four theme parks, both water parks, and at least five forms of Disney transportation. I’ve learned from the master. Most guide books I’ve read, including the Unofficial Guide to Walt Disney World, recommend going back to my hotel for a nap. Is that really necessary? There are alternatives, but chances are, everyone will get a more satisfactory rest if you’re away from the hustle of the parks. You can veg out in your hotel room in a way that’s just not possible elsewhere. And remember, even on a Disney vacation, the trip isn’t ALL about the rides; it’s also about spending quality time with your family or friends. You may be able to do this more effectively and enjoyably when you’re not sprinting to get the next FastPass. That being said, there are times when going back to the hotel doesn’t make sense. For example, if you’re staying at a hotel/house/condo that’s far removed from Disney property, it may simply be too time inefficient to return to your room. Also, if you’re visiting during Christmas, New Year’s Day, or July 4th, the parks may be so crowded that if you leave, you won’t be able to get back in. Ironically, this may be one of the times when you most need a nap, but that’s another story. The 2nd floor convention area at the Contemporary is a prime nap zone. If I can’t go back to my room, where can I nap in the parks? 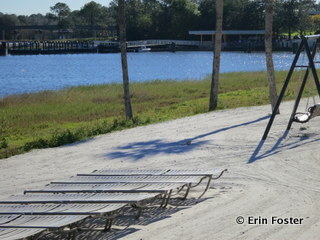 Feel free to sack out on the beach at the Polynesian, or any of the resorts near the parks. What are my alternatives if I don’t want to, or can’t, sleep during an attraction? If you can find the space, feel free to lie down for a few minutes on any shady bench. Try to find an out of the way spot, but if you look like you’re just resting for a bit, often cast members won’t bother you. For example, there are benches near the exit area to Space Mountain that are often sparsely populated. Captain Nap’s trick at Epcot is to dip under the rope at the America Gardens pavilion and lie down there while the rest of the family buys fancy candy in the Japan pavilion. You can also find a grassy area to lie down. There’s a good spot at the back area of Epcot’s Mouse Gear, facing the Test Track pavilion. Also try the grassy area near the miniature trains in the Germany pavilion. Any suggestions for something more private? 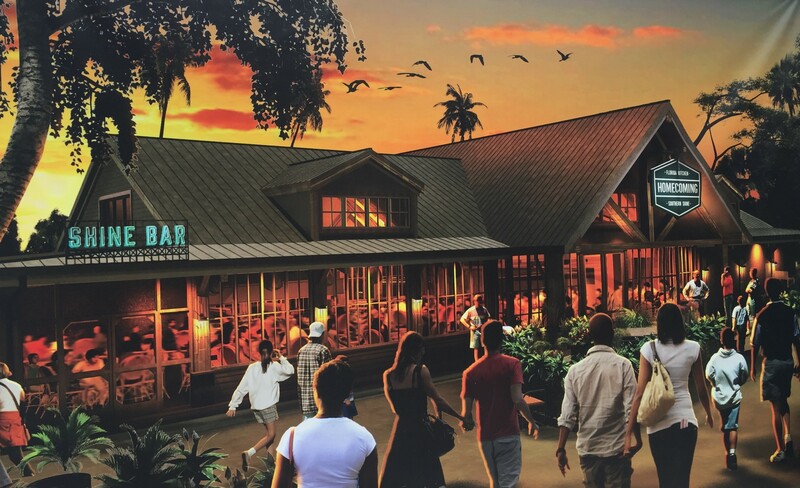 If you’re staying off site, but want to give yourself the illusion of staying at posh on-property digs, head on over to one of the monorail resorts. You can grab one of the cozy arm chairs in the lobby of Grand Floridian, pretend to read the paper, and then nod off for half an hour. Also, the second floor convention area of the Contemporary Resort is almost always empty and has some really comfy couches. Snooze City! The Iron Spike room at the Wilderness Lodge is totally nap-friendly. 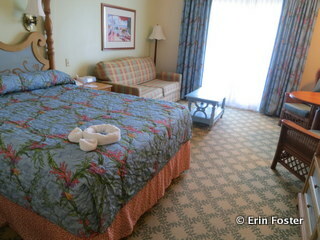 You can also go outside at any of the monorail resorts and lie down on the beach area. No one will bother you. This also works if you’re at Epcot by lying down on the beach by the Beach Club resort. However, with any outdoor napping in Florida, be mindful of the sun. Choose a shady spot (that will stay shady) and slather on the sunscreen. If you’re at the Magic Kingdom and are willing to take a boat instead of a monorail to get to a covert nap site, try beach spots at the Wilderness Lodge or Fort Wilderness. 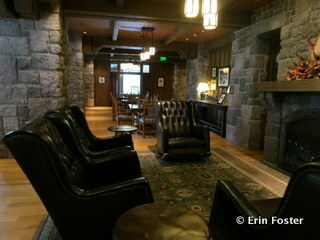 A truly wonderful nap spot is the Iron Spike room off the lobby of the Wilderness Lodge Villas building. No one is ever there, it’s fairly dark, and the seating is comfy cozy. Napping at a hotel lobby or on the beach is really OK? Well, I wouldn’t don your PJs or whip out your TempraPedic pillow, but generally yes, this is fine. Captain Nap has done it MANY times himself and over the years I’ve seen dozens of other guests do it as well. Try to keep your snooze under an hour and you’ll likely be left alone. The very worst thing that will happen is that a cast member will tap your shoulder to check on you or perhaps alert you to an event that will soon be happening in the area. If you’re concerned about sacking out for too long, set your phone alarm to wake you up after a reasonable amount of time. The Disney rental strollers are hard plastic and do not recline. Not conducive to comfortable sleep. How can I get my kids to nap in our hotel room? If you have a child under the age of three, chances are he’ll be napping in a Pack n’ Play Crib while you’re at Walt Disney World. You can practice with one of these at home to make sure he’s used to this type of sleep surface. You can also get better naps by choosing the right type of hotel room and by effectively modifying your room to make it more conducive to sleep. Examples of this might include bringing clothespins to keep your room curtains tightly shut, asking housekeeping for extra pillows to form a barrier between siblings, or getting a white noise app for your iDevice to create a sleep-inducing hum. 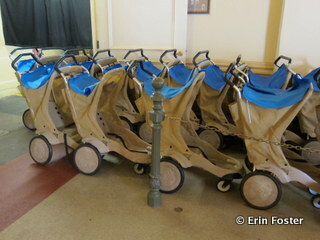 Are the Disney rental strollers good for napping? Don’t be surprised if your child (or you) find a way to sleep on any flat surface. The best option for getting your child to stroller nap is to bring your own stroller from home. The child will be comfortable and you’ll be familiar with how all the features operate. If that’s not feasible, then consider renting a stroller from an independent Orlando agency. Touring Plans blog goddess Scarlett Litton has the complete scoop on how this works. Is my park touring stalled if my child falls asleep in the stroller? Not at all. Use this situation to take advantage of Disney’s rider switch program. This allows one adult to ride an attraction while the other stays with the baby; then they switch spots without having to wait in line twice. Any nap suggestions for Downtown Disney? Downtown Disney does have some benches and a grassy area (try looking to the left of Characters in Flight as you face the water), but if you don’t mind paying a premium for shut-eye, head on over to the AMC movie theater. Look for the dullest film possible and get two blissful hours of dreamland. Paying for a movie just to nap may seem silly, but if it allows you stay at dirt-cheap lodgings far away from Disney property, then it may be worth the price of a matinee. So sleepy travelers, do you plan for a mid-day nap during your Disney vacations? Have you ever napped in a Disney park? Do you have the perfect spot for a secret snooze? Let us know in the comments below. During our last trip to Disney, my 2-year old took a nap on the train. We did 2 laps around the park. You make a good point that many younger kids fall asleep more easily if they’re in a moving vehicle of some sort. 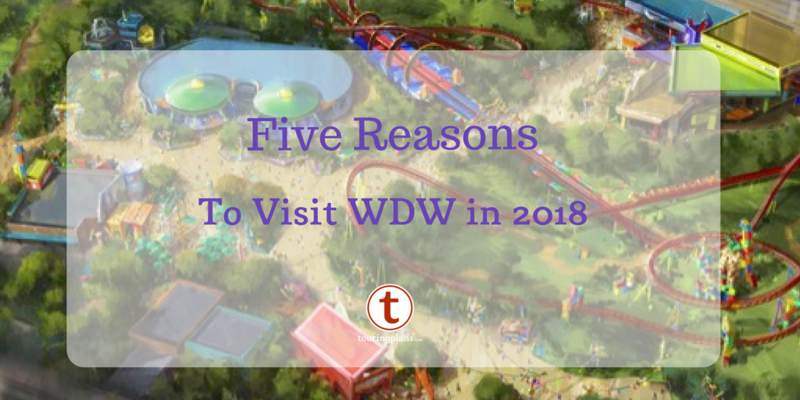 The train is a good option because, unless the park is crazy crowded, you won’t have to disembark at a specific time like you would on a fixed-length attraction. If the Tomorrowland PeopleMover is not busy, this could serve a similar purpose. Napping (or “resting”) is ESSENTIAL for the optimal WDW experience. Even if you or the kids don’t “nap” per se, just sitting or laying down for an hour or two during the hottest part of the day will re-energize you for the afternoon and evening. A key trick is getting to the park at rope-drop, as the majority of others are sleeping in (“because I’m on vacation, darn it!”). That way you can take advantage of less crowded parks early on, then go to your rest spot right after lunch when it’s the hottest and the crowd levels are the heaviest. Go back for dinner, rides, parades and fireworks, then hit the hay to start again the next day! That perfectly describes every day my family has ever had in the parks. We are always there at rope drop, or even better use the early morning extra magic hours, and usually hit every ride we want to do in 2-3 hours with almost no lines. One of the scariest sights is looking at the kids that don’t get a break around 3PM. I don’t always sleep, usually don’t, but going horizontal for a while feels pretty good. Good DL spots-Lincoln, Main St Cinema, Innoventions, GCH lobby. During my DL visit last summer, I made good use of the GCH lobby for my mid-day break. Very restful! If my trip involves three days of park touring or less (one full day sandwiched by two travel days is my typical “this is all I can afford but I need my fix” trip) then I do not return to my hotel for a nap. I go at a commando pace for three days and then collapse when I get home. I do, however, sleep on every single Disney bus, especially in the afternoon and evening. I also duck into theater attractions when I need a break from the heat, crowds, or standing. Actually falling asleep isn’t always necessary for me to recharge my batteries. On longer trips, though, I pace myself better. I might not nap every day, but maybe every other day or on days after I’ve stayed up particularly late the night before. Note that I don’t have kids, though. Commando touring with kids is asking for a nightmare, if all the screaming tots at evening EMH is any indication. I had a miserable attempt at a nap in Finding Nemo the Musical. My neck kept lurching forward, I thought I would need to see the chiropractor when I got home! I literally did a spit take when I read your comment. Thanks for the laugh! But my friend strongly recommends – take the kids to the hotel, turn out the lights and block the curtains and TURN UP THE A/C to a ridiculously cold rate… so the kids will WANT to get under the blankets and curl up. My kids are so tired of me falling asleep during Ellen’s dream because I then proceed to tell them about the dream I had while I was sleeping through hers. Just another Disney family tradition! One trick my family used when my kid was little was bring a small pop-up tent. It weighed 5 pounds and was invaluable. It was darker inside and she couldn’t see us, so she was able to wind down, relax, and have a snooze. We just set it up on the bed for our vacation and Mousekeeping simply folded the bedding up every morning. It’s also so great at night when the kids are tired but the parents aren’t–you can read or watch TV quietly without disturbing their beauty sleep! I have had a few good naps riding Spaceship Earth in Epcot. The seats are not as comfy as those in the American Adventure, but it’s more convenient if you’re in Future World, and its waits are seldom bad. The vestibule on the Land side of the building that contains Club Cool in Future World West is also cool and spacious (plus, there are power outlets! 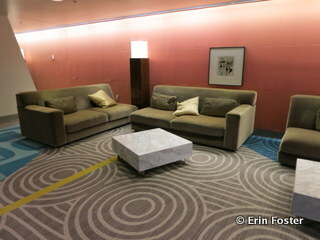 ), although you have to sit or lie down on the carpeted floor. I’d also add Impressions de France to your list. It’s too bad that Sounds Dangerous is closed now at the Studios. That was a good one, especially if you didn’t bother to put on the headphones! Good call on Spaceship Earth. The riding backwards part is particularly relaxing. Your comment about the carpet reminds me that there are some areas of Innoventions with lots of open carpet space where you could probably sack out for a while. My kids have grabbed a few winks on Kilimanjaro Safari. If you get a more subdued driver paired with the rocking of the vehicle and the warm Florida air, it puts them right out. I usually get crazy Kilimanjaro drivers. More like “hang on for dear life” rather than “grab 40 winks.” Although I’m sure my husband could do it if he tried. I totally understand napping, but on my WDW honeymoon and my DL trip I didn’t need them… however, that being said after we went back to the hotel I slept like I’ve never slept before (and we weren’t worried about rope drop), so we didn’t race back to the parks in the morning. Good nap hint for Spaceship Earth – set the language to something other than English so you won’t unconsciously “follow along”. I normally don’t nap – but I tour with my mom (I am in my 30s) with no kids. We do quite a few table service meals so we can sit and relax and I try to do quite a few of the show in the afternoon so we can relax. We normally go in off-season – next trip is December so it is cooler. Next year in October I am going with my friend and her two daughter (They will be 9 & 13) – 1st time with kids. So this is helpfull in how I am going to have to adjust for kids. Great advice. We were just at WDW, and left the parks each day around 1 pm with our 4 year old for a nap/pool time. We then were ready to go back to the parks in the late afternoon. Without nap time, we would have been scraping him off the ground by about 5 pm. We often take the water taxi between Epcot and Hollywood Studios. It is another nice relaxing ride (although not always cool) where you can sleep. But really recommend Hall of Presidents – cool, dark, and a long show. Head to Blizzard Beach around 3 PM. You’ll feel like you’re swimming upstream with the exiting crowd, and there are several great shady areas with lounge chairs for snoozing. The moving water also acts as white noise. On our last trip with our 2, 4, & 6 year old, daily naps were mandatory. Using a personalized touring plan, I had us leaving the park everyday by 1:00. On our first day at MK, we were having so much fun and I thought, “Oh, we’ll just push it an extra hour or two and take a later nap. After all, we’re already here…”. At about 2:00 I had a two year old refusing to sit in the stroller and screaming to be carried, and my girls were fighting with each other and crying, and my husband was about to spank three butts while at the happiest place on earth. Then they fell asleep on the bus, which was difficult to maneuver when getting off. Bottom line, we didn’t try to ‘push’ naptime after that 🙂 Every other day worked perfectly, and the 3 hours we spent away from the park made the rest of the day so enjoyable. Since we are just two adults we are able to do all day in the park but we like to take a long afternoon in-park break without napping. Our favorite place in Magic Kingdom is of course the People Mover! A great place for Epcot breaks is La Cava Tequila Bar, which rarely gets the love it should. Gets you off your feet in an air conditioned place! Great article! Another important piece of our naps (in August) is a dip in the pool first. Takes away all the August sweat, cools you right down and is very relaxing. Then we tell the kids they just have to close their eyes for 10 min. One time, that 10 min turned into 4 hours for my 8 year old!!! 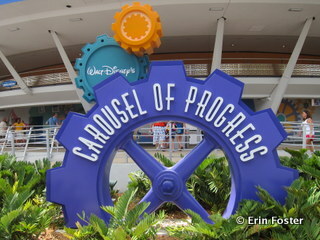 I love to nap in Carousel of Progress. It’s a family fave and I’m seen it enough to have memorized the script. And the AC is always BLASTING in there!!!! !